Rev. Idzi Radziszewski Award was founded by the Learned Society's Board of Directors on the 6th of April 1974. Since then it is given annually for "outstanding academic achievements in the spirit of Christian humanities". Rev. 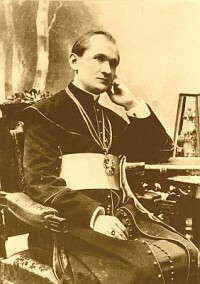 Idzi Radziszewski (1871-1922) was a founder and first Rector of the Catholic University of Lublin. b) Book of the year award. 2. The award applications are being prepared by the commission summoned by the Board. The Commission, after consultations with proper faculties of the Society, presents three candidates to every award. 3. The statement concerning the awards is given to the public during the annual general meeting of the Society.